Transform the ambiance of your space with the Orient Electrics ETERNAL Bon Ton downlighter that is ideal for the replacement of CFL/PL down lighters in residences and offices. The energy efficient downlighter comes complete with a polycarbonate diffuser that accounts for glare-free and uniform light distribution. It turns on the very moment you flip the switch to fill your space with bright, warm light. Compact and easy to install, Orient Electrics 4W ETERNAL Bon Ton downlighter has a lifespan of more than 30,000 hours. 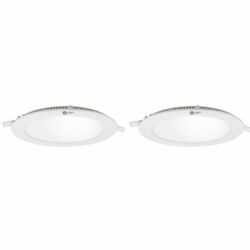 Transform the ambiance of your space with the Orient Electrics ETERNAL Bon Ton downlighter that is ideal for the replacement of CFL/PL down lighters in residences and offices. 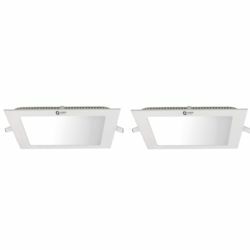 The energy efficient downlighter comes complete with a polycarbonate diffuser that accounts for glare-free and uniform light distribution. It turns on the very moment you flip the switch to fill your space with bright, warm light. 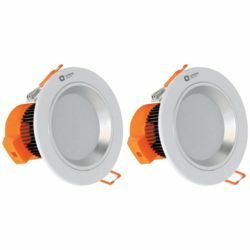 Compact and easy to install, Orient Electrics 4W ETERNAL Bon Ton downlighter has a lifespan of more than 30,000 hours.